The MCC's spinners, James Tredwell and Samit Patel, combined to take five wickets in Yorkshire's second innings in Abu Dhabi to set up an intriguing final day. The MCC could only extend their lead to 24 on the third morning then Yorkshire slipped from a promising 108 for 2 to 147 for 6 with Tredwell and Patel sharing the bulk of the bowling as they sent down 55 overs before them. However, a seventh-wicket stand of 80 between Will Rhodes and Andy Hodd pushed the advantage over 200. Alex Lees had initially anchored Yorkshire's second innings after Adam Lyth was lbw to Tredwell's second delivery. He struck seven fours and a six before being bowled by Patel after he had earlier claimed the captain Andrew Gale lbw to begin Yorkshire's wobble. Tredwell, meanwhile, added to his early strike with the scalps of Jack Leaning caught at slip and Tim Bresnan taken at mid-off to take his match tally to six wickets before the MCC came up against some stubborn lower-order resistance as Yorkshire had done the previous day. 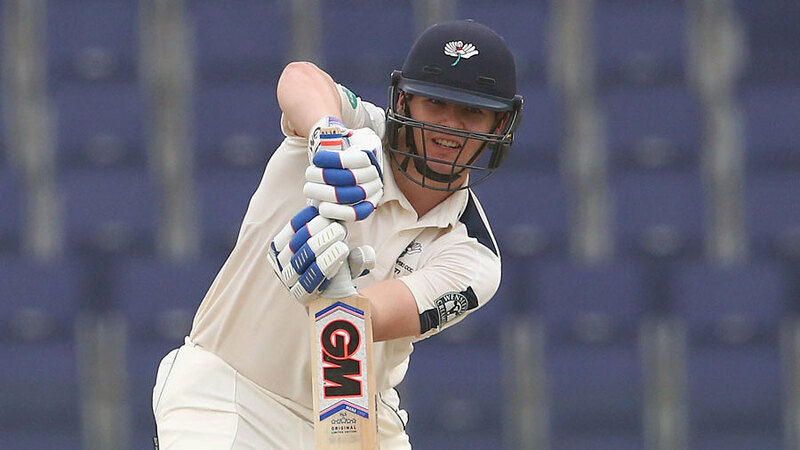 Rhodes, who fell five runs short of a maiden first-class hundred in the first innings, and Hodd batted for the majority of the evening session before Hodd was lbw to Jake Ball. Earlier, the MCC had lost their last four wickets for nine runs. Ben Foakes struck two early boundaries but was then bowled by Karl Carver for 91 - to end a seventh-wicket stand of 139 with Rikki Clarke - and Carver also claimed Ball and last-man Graham Onions to finish with 4 for 106.